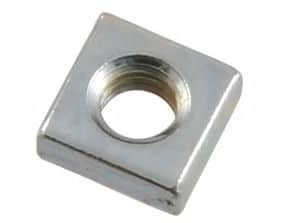 Industrial Steel Nuts Dealers, Hex Nuts Manufactures, Eye Nuts Exporters, Machine Nuts Traders, High Tensile Nut Stockists, Cap Nuts Suppliers in Mumbai India. 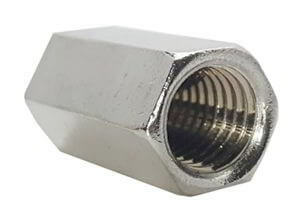 ASTM A193 Austenitic Stainless Steel 2-Way Lock Nuts Stockholders, Carbon Steel Flex Lock Nuts, Monel Cage Nut Dealers, ASME SA479 Duplex Steel Wing Nuts Distributors, Alloy Steel T-Nuts in Mumbai, SS Castle Nuts in India. Made from premium raw materials, these Stainless Steel Nuts are structurally stable, corrosion resistant and highly reliable. We offer these Carbon Steel Nuts are in various specifications in order to meet the diversified requirements of the customers. Renine Metalloys is a recognized firm that offers a wide range of our Alloy Steel Nuts, which are also available in all standard dimensions as per client's specification providing them maximum satisfaction. Duplex Steel Nuts are made up of high quality raw material and therefore follow international quality standard and ensure high durability and resistivity to adverse conditions. Offered at affordable prices, our Inconel Nuts is applauded for its attractive sizes, perfect finishing and eminent durability. 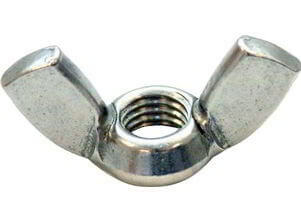 Available in various shapes, sizes & design, our range of Hastelloy Nuts conforms to the international standards of quality. 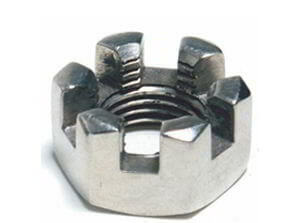 We have developed a well functional infrastructural unit where we manufacture this range of Monel Nuts in diverse specifications. Driven by an intense desire to attain optimum customer satisfaction for Nickel Nuts, we have implemented a client-oriented approach in our firm since its inception. 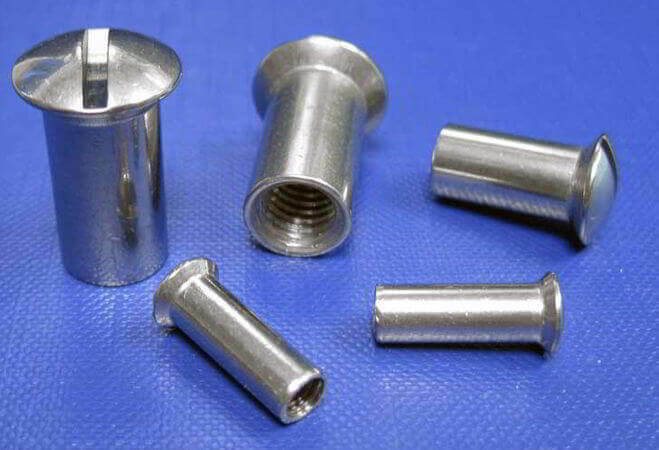 We are able to provide enormous customers all over the domestic and international markets, with respect to our capability to proficiently meet the bulk requirements of Titanium Nuts in the certain time frame. The company has an illustrious clientele that increases to market in several countries, and is recognized as an innovator in the market when it comes to Copper Nickel Nuts and their finishing excellent quality. 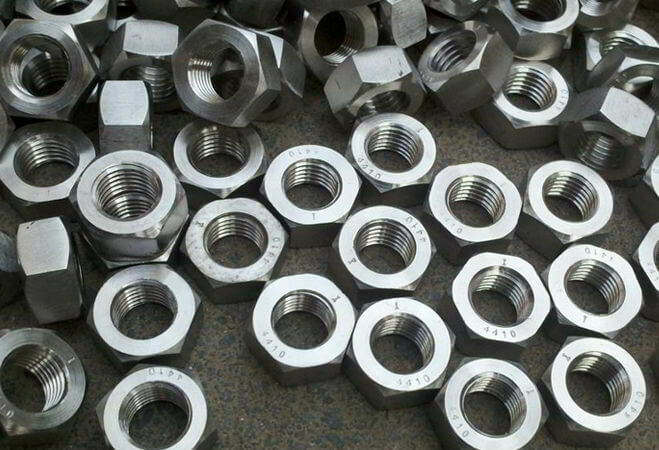 Nickel Alloy High Nuts Suppliers in Mumbai, Inconel K Lock Nut, Super Duplex Steel Flange Nuts, Hastelloy Kep Nut Stockists, Titanium Hexagonal Nuts Stockyards, Copper Nickel Acorn Nuts Exporters. 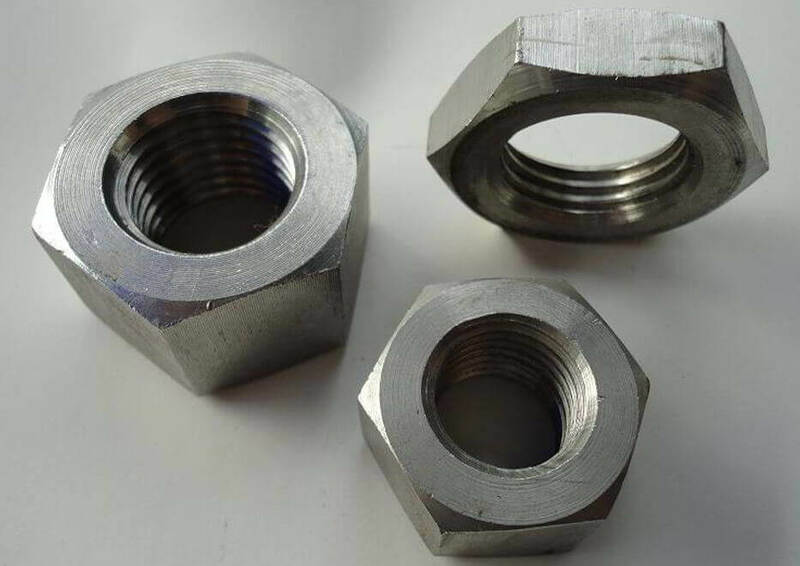 Manufacturer of 17-4 PH Acorn Nuts Traders, ASTM A193 SS 904L Cage Nuts, Carbon Steel Cap Nuts, BS Standard Nuts, Aluminium Flange Nuts, Nickel 201 Lock Nuts, Duplex UNS S31803 Thin Nuts Wholesaler in India, Pure Titanium Grade 2 Hexagonal Nuts, NITRONIC 50 Industrial Nuts, Incoloy 800H High Nuts, ANSI Standard Nut, Exporters of SS 304 Slotted Nuts, Inconel 725 Handle Nuts Exporter, Hastelloy C22 Flex Lock Nuts, Alloy 20 High Nuts, ISO Standard Nuts, DIN Standard Nuts, Titanium Gr.7 Dome Nut, High Temperature Alloy Pin Lock Nut, Monel K500 Hurricane Nuts, Hastelloy C276 Custom Nuts, Nickel 200 Jam Nuts, Mild Steel Spring Nuts, Hastelloy Gr.B ACME Nuts, Austenitic Stainless Steel Flex Lock Nuts, Fasteners Nuts, Super Duplex Steel Coil Nuts, Cupro Nickel Sleeve Nuts Stockist, Inconel Panel Nuts Stockholders, SS Nut, NITRONIC 60 Miscellaneous Nuts Dealer, Inconel 600 Nylon Insert Lock Nuts, Hastelloy C2000 Nuts Exporters, Monel 400 Flange Nuts Stockholder, Alloy 2205 Eye Nut Manufacturer, Inconel 601 Slotted Hex Nuts, Copper Nickel 2-Way Lock Nuts, Inconel 617 Weld Nuts, Supplier of High Quality Stainless Steel Coupling Nuts, Inconel 625 Kep Nuts, Nickel Alloy Heavy Hex Nuts Traders, Alloy Steel Slotted Nuts, Distributors of UNS S32750 Rivet Nuts, Incoloy 925 Heavy Hex Nuts Supplier, ISI Standard Nut, Inconel 718 Auto Lock Nuts, Incoloy 800HT K Lock Nuts Stockholders, SMO 254 Cage Nuts, ASTM F594 Stainless Steel Allenuts, Duplex Steel T- Tee Nuts, 15-5 PH Machine Hex Nuts Dealer, High Performance Alloy Square Nuts, Tantalum Castle Nuts Stockists, Special Alloy Cap Nuts, Incoloy 800 Serrated Flange Nuts, Inconel X-750 Hex Nuts Stockists. Nagpur, Muscat, Lagos, Busan, Mexico City, Visakhapatnam, Cairo, New Delhi, Chennai, Ho Chi Minh City, Bhopal, Nashik, Dubai, Aberdeen, Kolkata, Houston, Rajkot, Ahvaz, Sydney, Chandigarh, Jaipur, Kuala Lumpur, Hyderabad, Ludhiana, Jakarta, Milan, Algiers, Ranchi, Pimpri-Chinchwad, Abu Dhabi, Hanoi, Jamshedpur, Montreal, Sharjah, Vadodara, Petaling Jaya, Dallas, Australia, Rio de Janeiro, Madrid, Tehran, Lahore, Geoje-si, Indore, Hong Kong, Surat, Bogota, Perth, Kuwait City, Toronto, Gimhae-si, Faridabad, Riyadh, Thane, Gurgaon, Mumbai, Bangkok, Navi Mumbai, Dammam, Atyrau, Brisbane, Vung Tau, Pune, Howrah, Haryana, Baroda, Chiyoda, Manama, Singapore, Los Angeles, Istanbul, Bengaluru, Colombo, Al Khobar, La Victoria, Coimbatore, Santiago, Ahmedabad, Jeddah, Secunderabad, Moscow, Granada, London, Caracas, Edmonton, Thiruvananthapuram, Port-of-Spain, Turkey, Courbevoie, Noida, Doha, Ernakulam, Karachi, Kanpur, New York, Al Jubail, Calgary, Ulsan, Seoul. Czech Republic, New Zealand, South Africa, India, Peru, Qatar, Afghanistan, cyprus, Denmark, Philippines, Venezuela, Slovakia, Russia, Hong Kong, Thailand, Morocco, Indonesia, Chile, mexico, srilanka, thailand, malaysia, Colombia, Kenya, Poland, Switzerland, Costa Rica, Estonia, Japan, Mongolia, Kuwait, United Arab Emirates, Bulgaria, Zimbabwe, Jordan, Puerto Rico, Mexico, Nepal, Argentina, Algeria, Romania, Canada, Chile, Bhutan, Bahrain, Yemen, Sri Lanka, Malaysia, Nigeria, Bangladesh, Ukraine, Egypt, Bolivia, Belarus, Turkey, Ecuador, Nigeria, Greece, United Kingdom, Gambia, Libya, Macau, Namibia, Taiwan, Brazil, Sweden, Netherlands, Belgium, Ghana, China, Croatia, Kazakhstan, Ireland, Iran, Vietnam, Serbia, Italy, Israel, Mexico, brazil, Iran, Gabon, Lebanon, Azerbaijan, Spain, France, South Korea, Poland, Norway, Australia, United States, Oman, Germany, Finland, Trinidad & Tobago,Tunisia, Saudi Arabia, Tibet, Portugal, Lithuania, Singapore, Hungary, Austria.